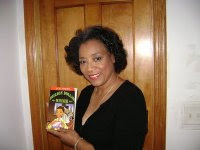 Arlene Jones - Featured Columnist Austin Weekly News: L.I.T.E ARE THEY SERIOUS???? TURNS OUT THIS IS A JOKE! L.I.T.E ARE THEY SERIOUS???? TURNS OUT THIS IS A JOKE! Extremely pleased that the presidential campaign of Senator Barack Obama is "bringing light-skin brothers back," a new organization of black men of very light complexion have launched a voter registration drive aimed at "getting every light-skin brother to the polls on Nov. 5" said the organization's founder, Dan "White Boy" Williamson. Williamson organized Light-skin and Interested in True Equity (LITE) to give men like him a platform to share their experiences for healing purposes and to advocate for equity, especially in the dating game and in the entertainment world. "Through my research, I have found out that we still do well in corporate America," he admitted. "These dark skinned brothers have been on top of the dating and entertainment games for a long time," said the 40-year-old Williamson. "It's been about 30 years and it's is about time! I knew things were looking up for us light brothers when Wesley Snipes got in all that tax trouble with the IRS," he added. "Folks asking if Barack will paint the white house black if he gets in office. I hope not. I hope he paint it high yellow. Call it the High Yellow House. That will stop all the cruel ridiculing." Light-skin activist also point to the recent incident with Tyson. The male supermodel recent public display of nakedness was simply another sign that the winds of complexion popularity are changing, explained Williamson. "He's desperate because he's not the it guy anymore," said Williamson. As a show of unity, light-skin brothers everywhere are encouraged to support Chico DeBarge's upcoming music release. "He's a symbol of progress for light-skin brothers everywhere," said Williamson. The Coalition urges all light-skin brothers in politics, entertainment, and those in the dating circuit to take their games up a notch because "the playing field just got level again." P.S. This should be more like "Lacking Intelligence Takes Effort"!